The Raven Remastered is an amazing adventure and puzzle game by King Art. It is a full graphical remaster of the classic whodunit adventure that lets you explore a thrilling crime story through the eyes of multiple characters. An ancient ruby is stolen from the British Museum in London, 1964. A raven feather is found at the crime scene, is somebody trying to follow in the footsteps of The Raven, the legendary master thief who disappeared years before? Constable Anton Jakob Zellner finds himself in the middle of the kind of murder mystery he so far only knew from reading his favourite crime novels. Nothing is what it seems. Everyone has something to hide. And the Raven is always one step ahead. 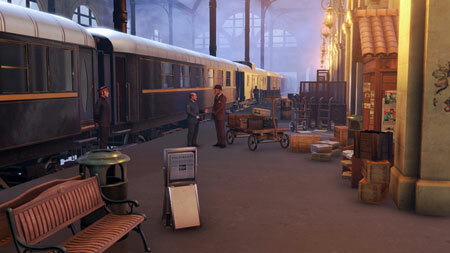 The game features classic murder mystery locations, from a train in the Swiss alps, to a majestic cruise ship and the Cairo Museum. If you get stuck in the game, check out the video walkthrough and gameplay for the game. This entry was posted in PC Games, Walkthrough and tagged The Raven Remastered Cheats, The Raven Remastered Gameplay, The Raven Remastered Guide, The Raven Remastered Hints, The Raven Remastered Review, The Raven Remastered Solutions, The Raven Remastered Strategy, The Raven Remastered Tips, The Raven Remastered Walkthrough by Marvin. Bookmark the permalink.